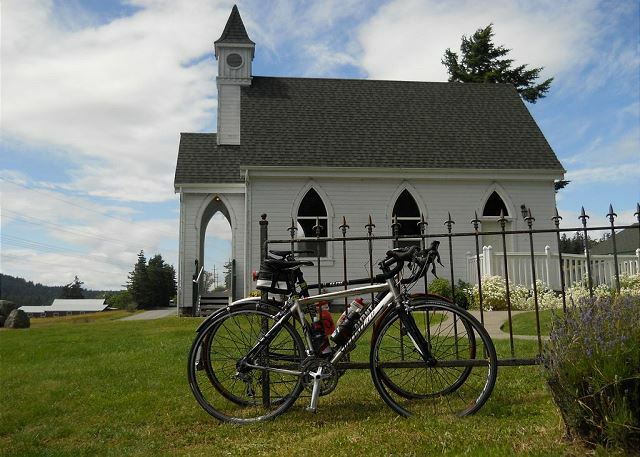 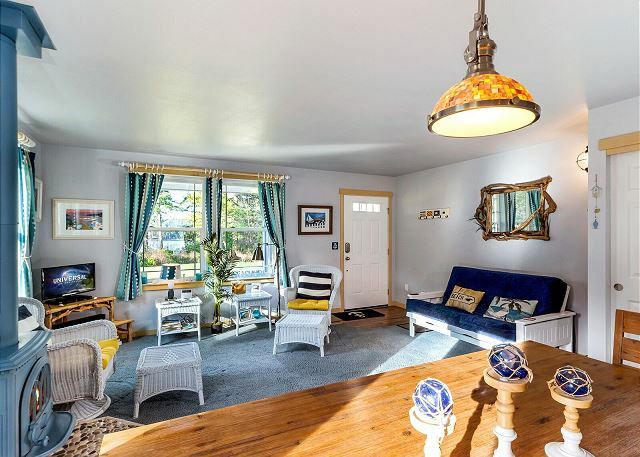 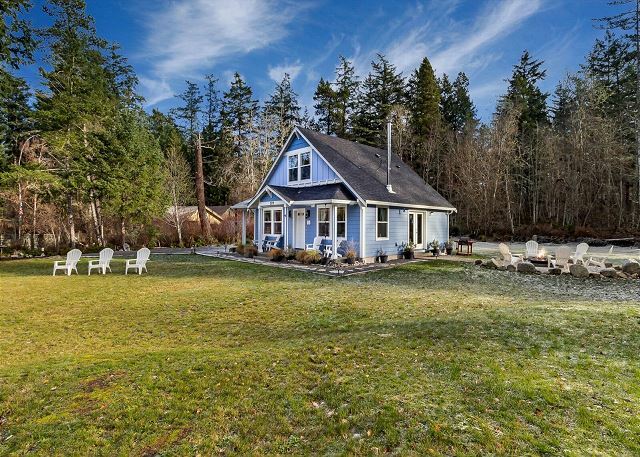 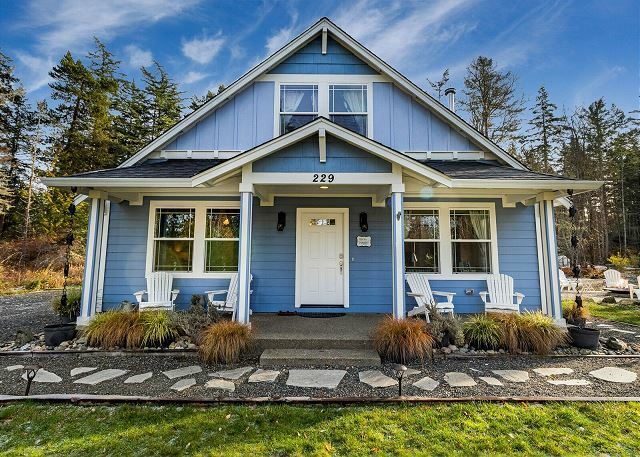 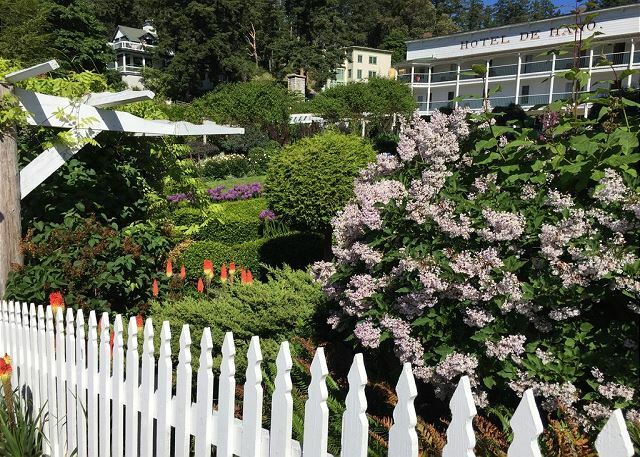 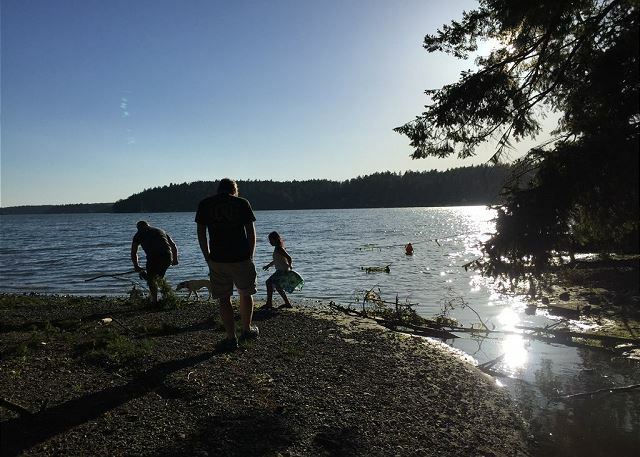 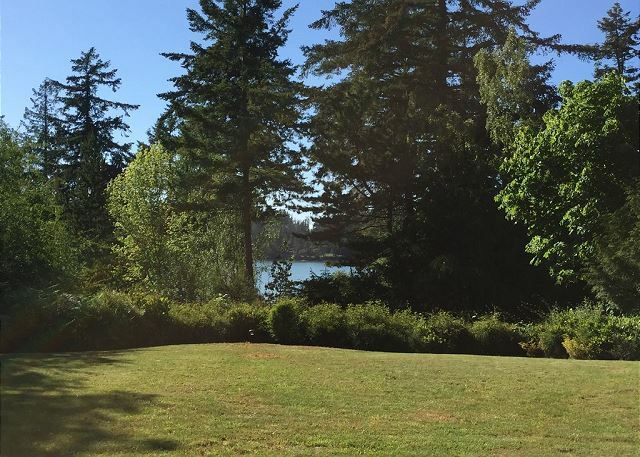 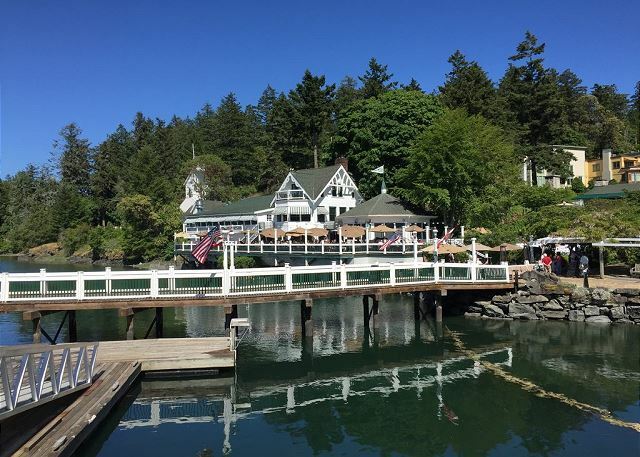 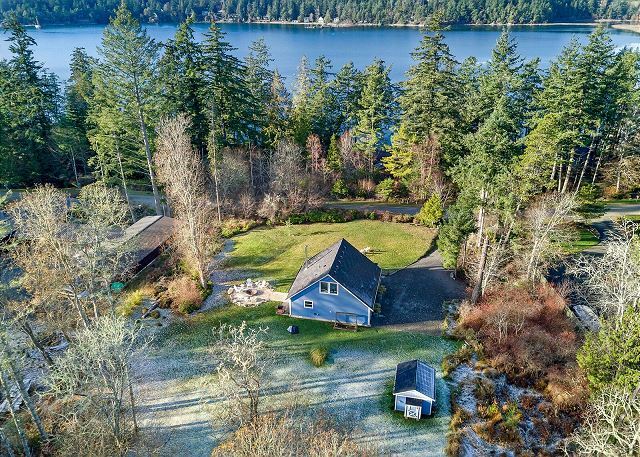 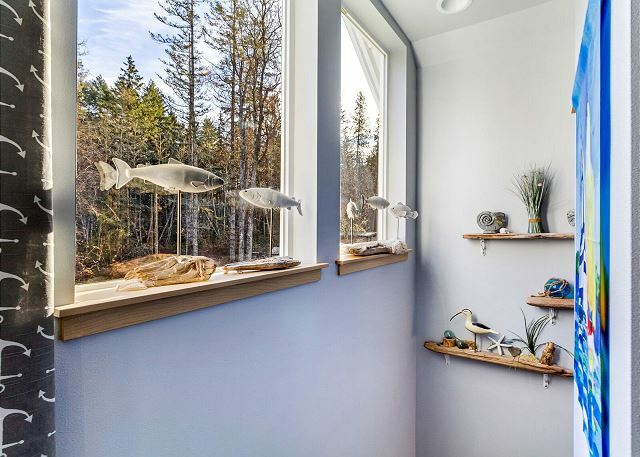 Blue Sea Bungalow (near Roche Harbor) is a great place to make some San Juan memories! 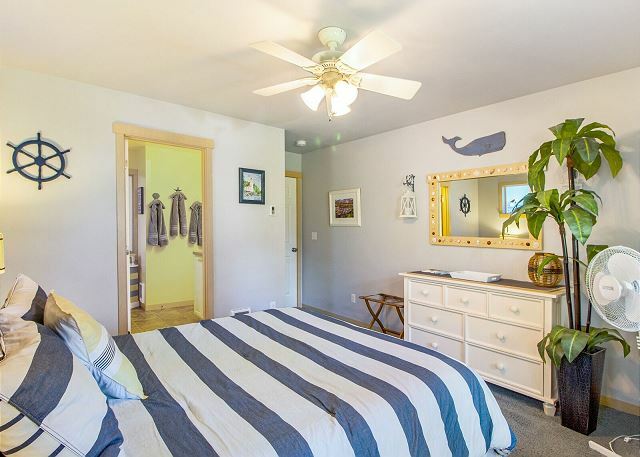 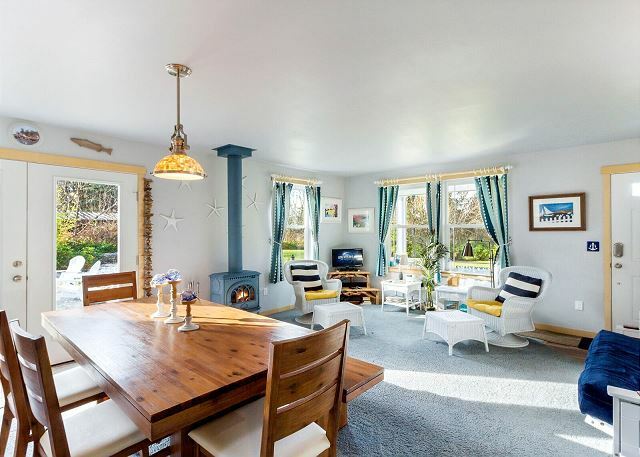 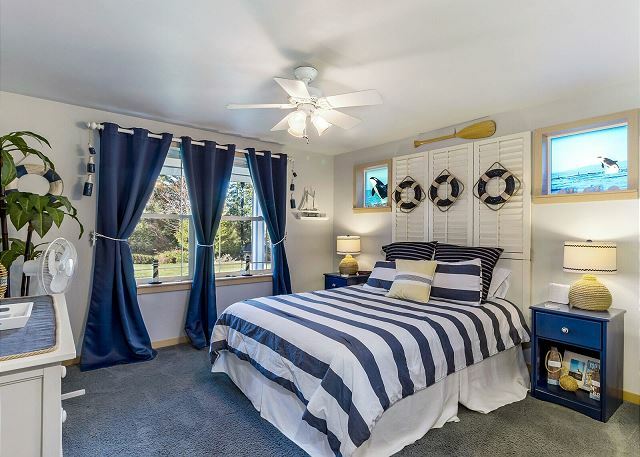 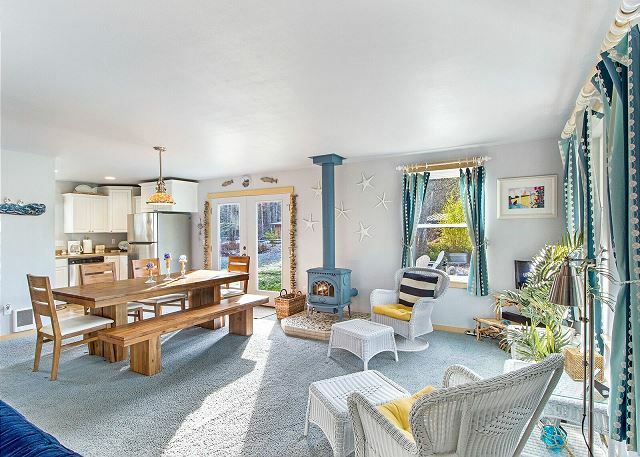 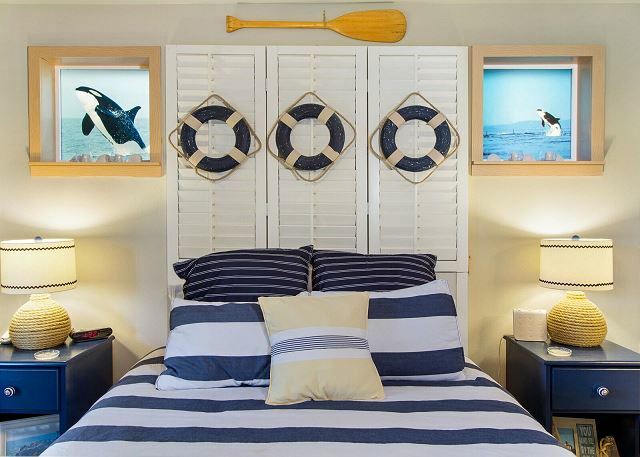 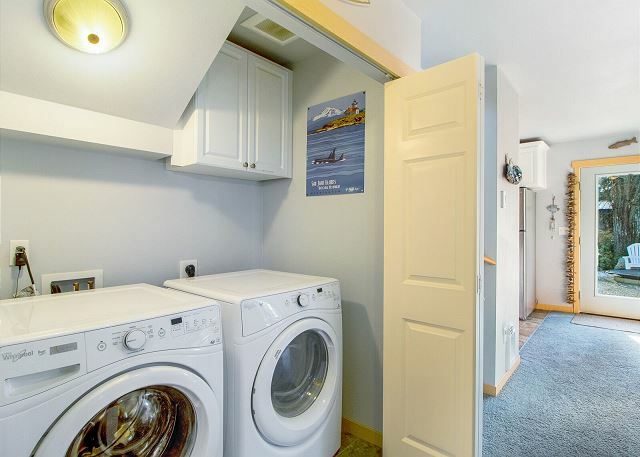 This cozy home was built in 2015 and is comfortably furnished with a nautical/beach motif throughout. 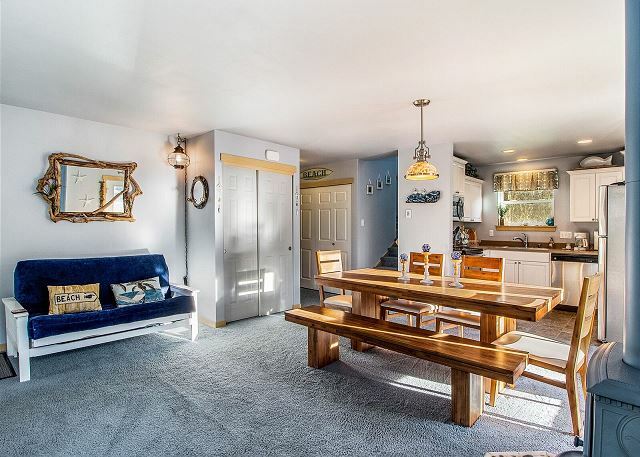 The kitchen and dining room provide enough space for everyone to gather comfortably around the table, or prepare meals together. 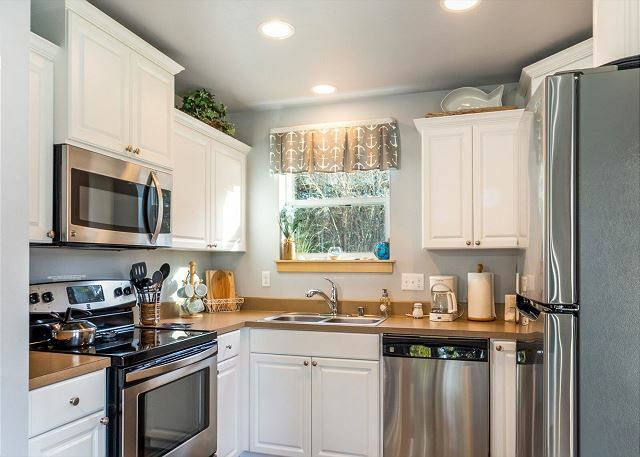 The kitchen is fully-equipped with stainless steel appliances and plenty of dishes, cookware, and spices. 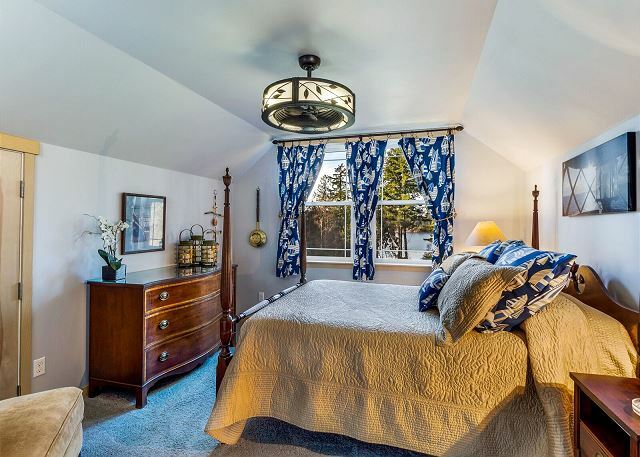 The downstairs Master Suite has a queen-sized bed and is connected to a continental bathroom. 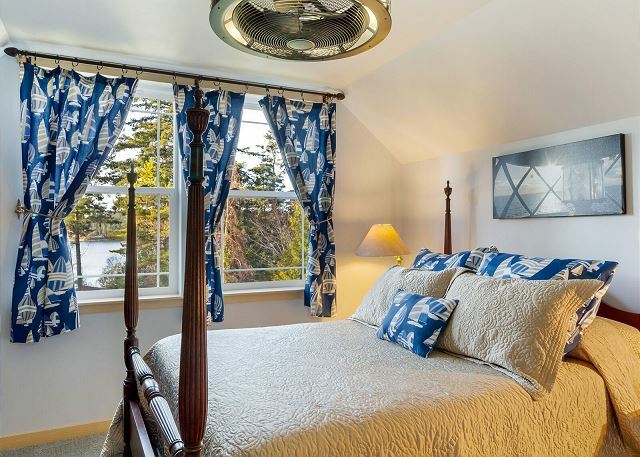 The 2nd bedroom is upstairs with a view of Westcott Bay and a full-sized bed with a brand new Memory Foam mattress. 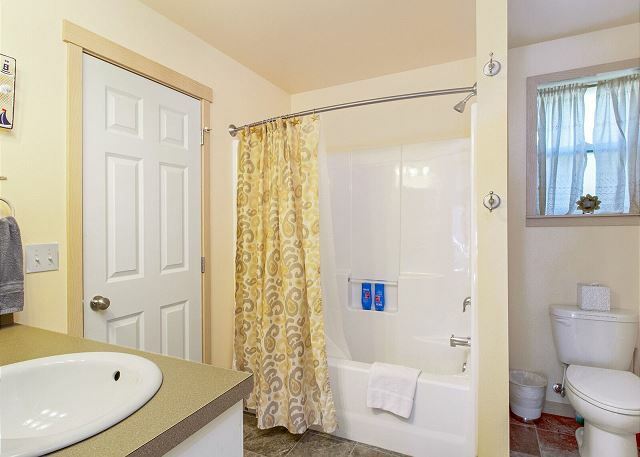 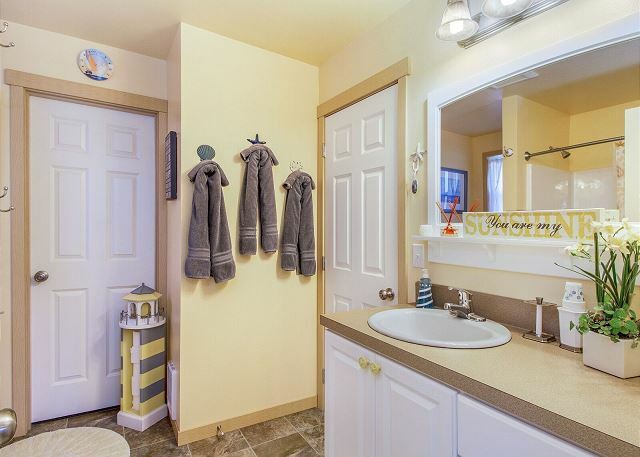 The 3/4 bathroom is upstairs as well. 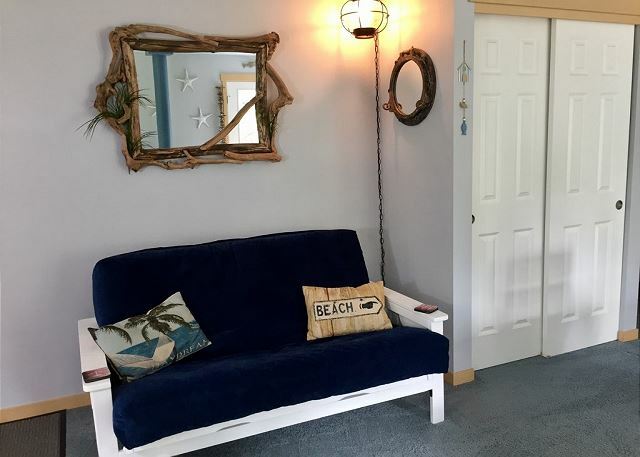 The living room's comfortable futon couch converts into a bed. 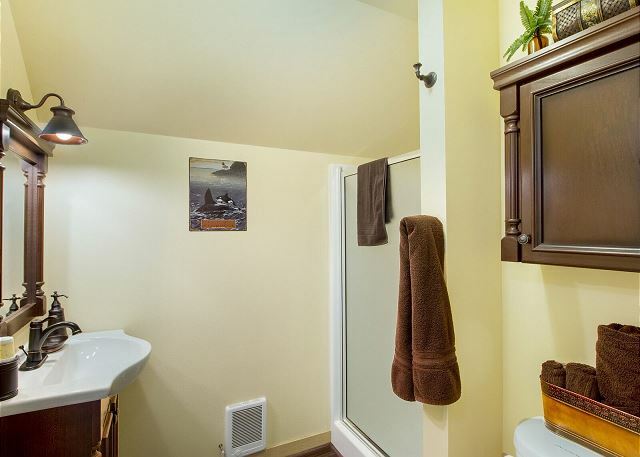 Enjoy an evening movie on the new 40" TV in the living room with access to Netflix. 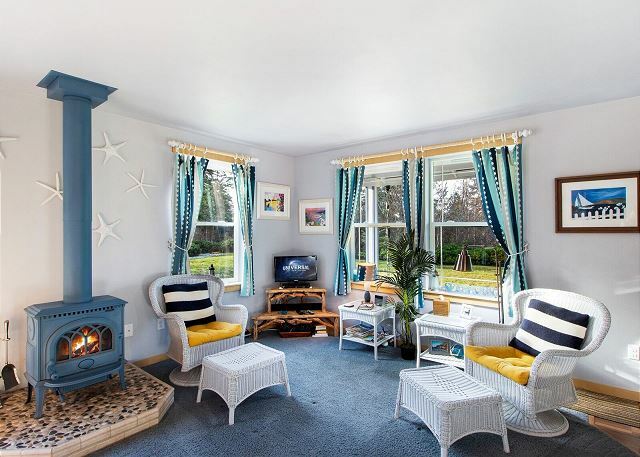 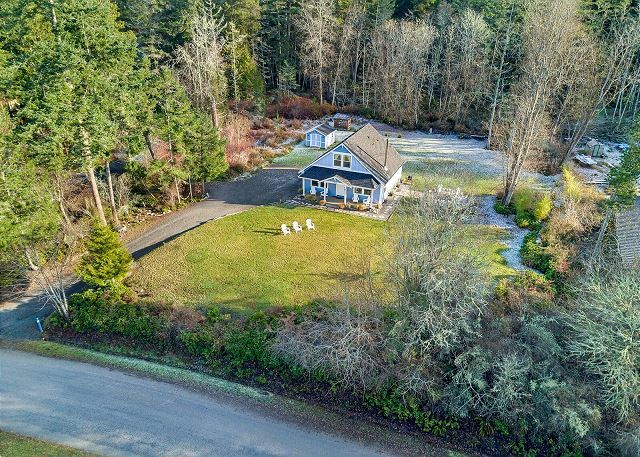 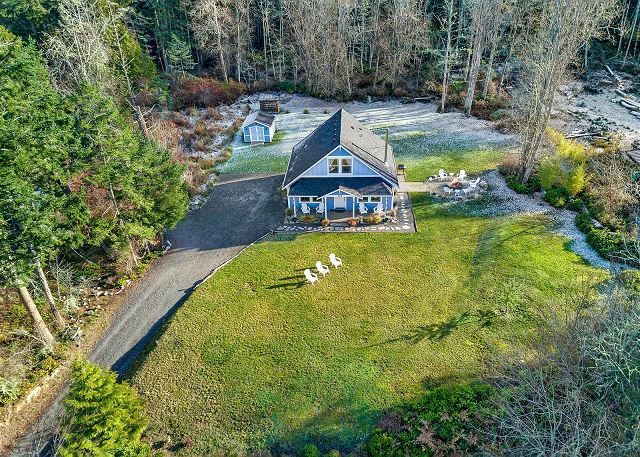 Blue Sea Bungalow offers a large yard full of fun as well! 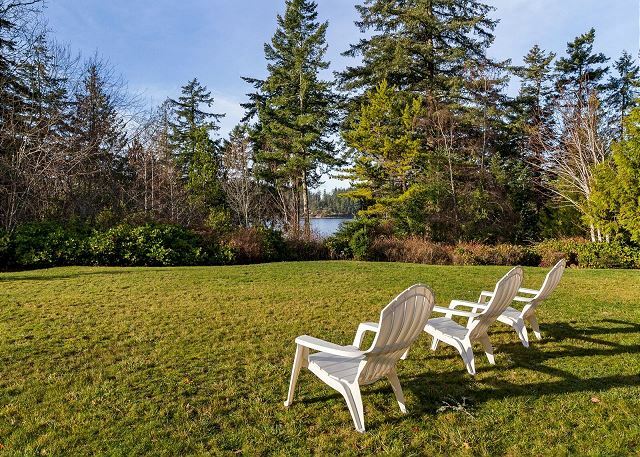 Fire up the BBQ, pull up a chair and relax around the firepit. 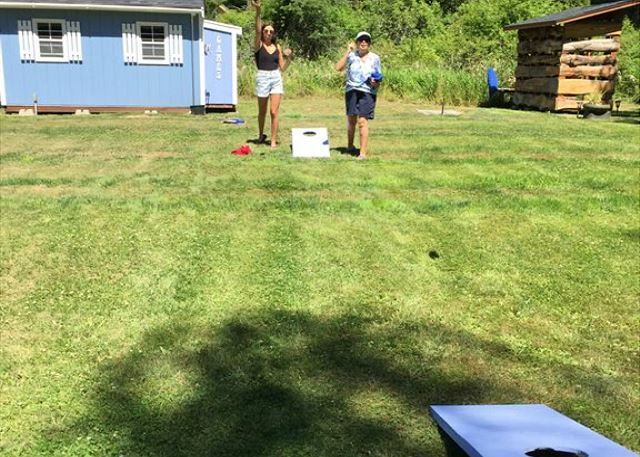 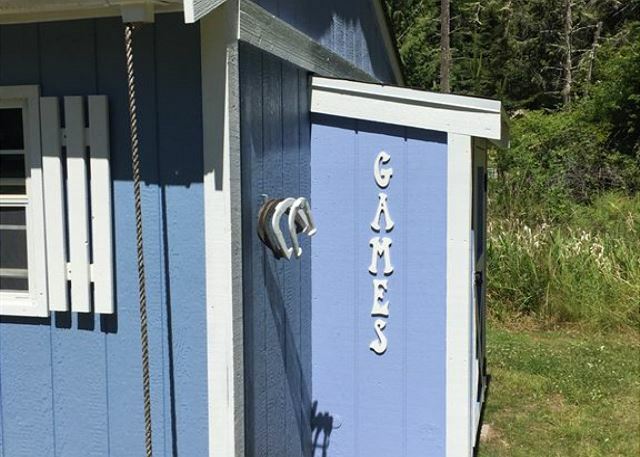 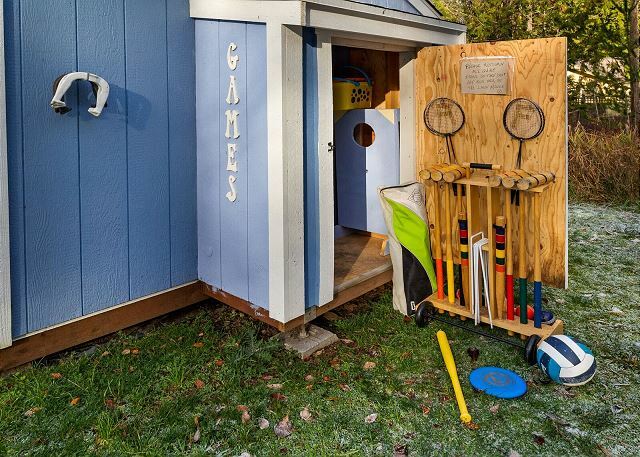 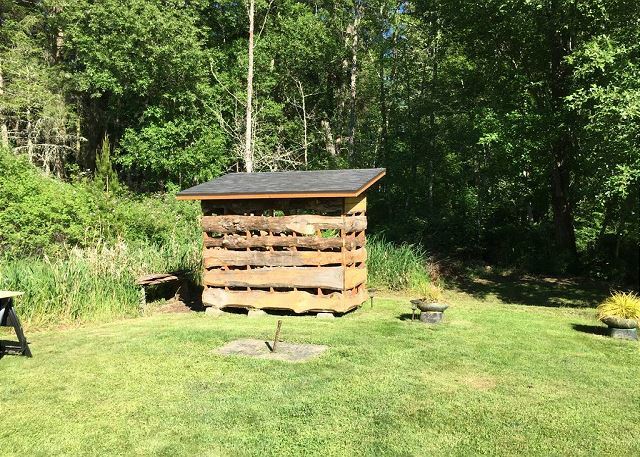 Enjoy a game of horseshoes, “corn hole”, badminton or croquet in the back yard. 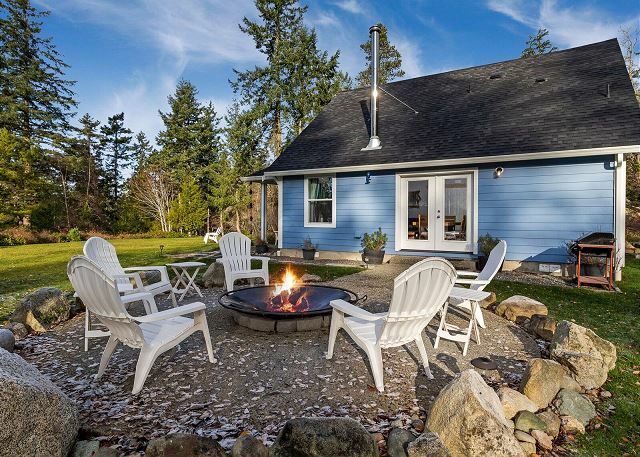 This open space and rural setting is perfect for star gazing while sitting with friends around the camp fire. 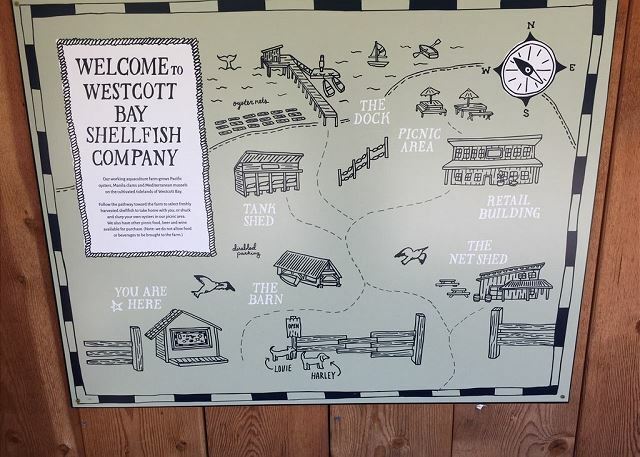 The Westcott Bay Oyster Farm is just at the end of the neighborhood (open summer months only). 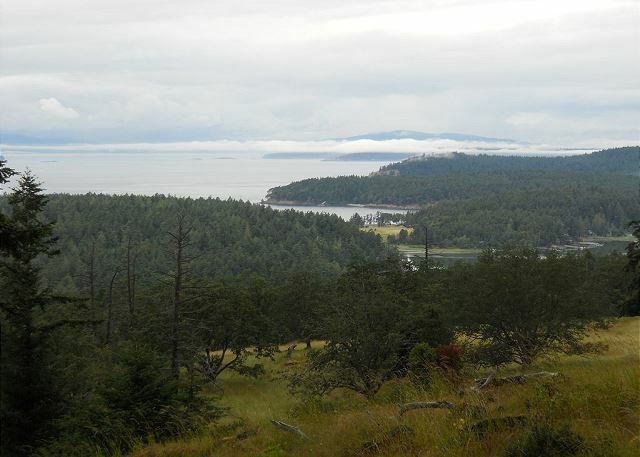 A connector trail to English Camp and Mount Young is also at the end of the street near the farm and lagoon. 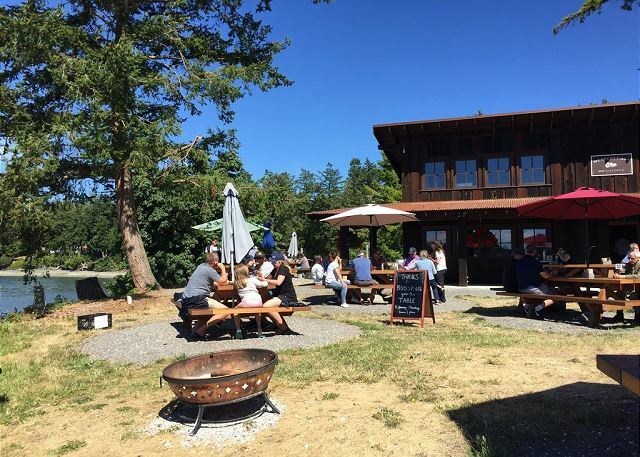 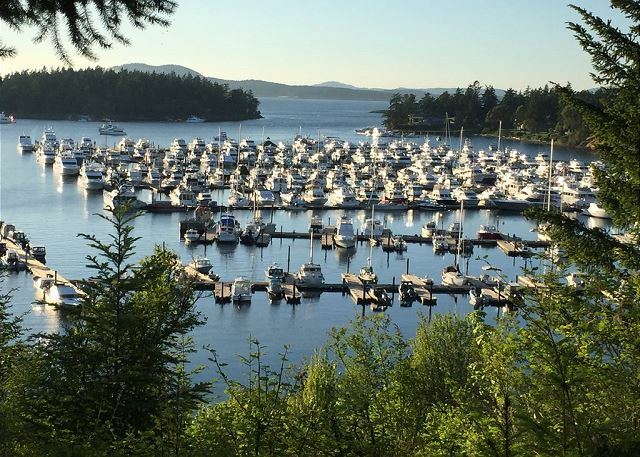 It's a short 1.5 miles to Roche Harbor, where you can rent kayaks, SUP's, etc. 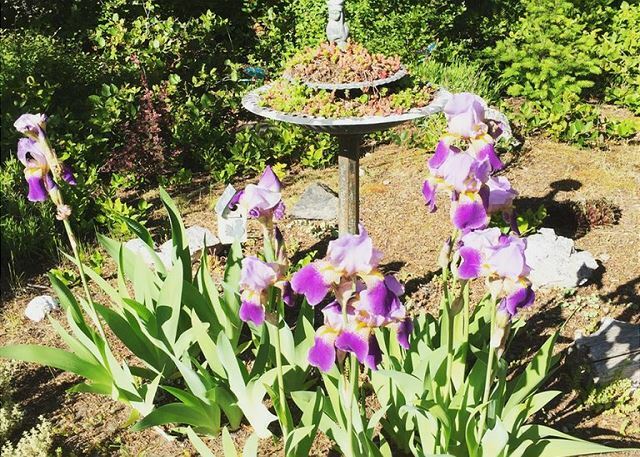 and check out the beautiful garden and historical sights. 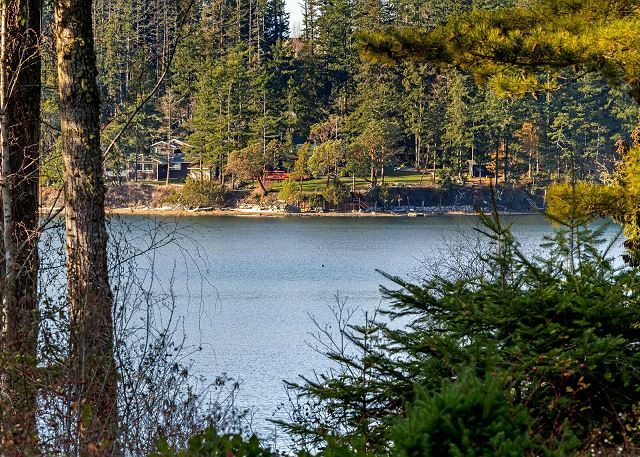 There's a nearby private community access to Westcott Bay, which is down a short nature trail (be careful to watch for stickers and uneven footing) and then an easy scramble down the bank. 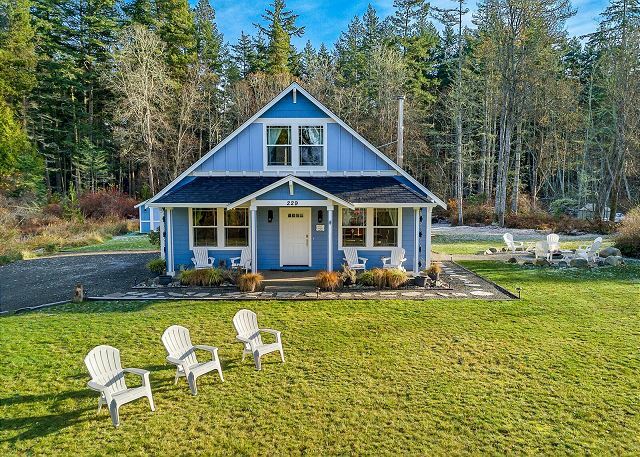 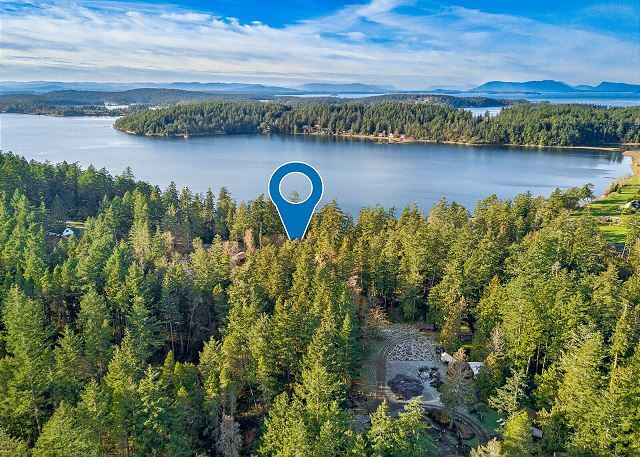 The beach space is limited, but it still offers a great place to sit and watch for seabirds, otters, harbor seals, and much more wildlife that resides on San Juan Island.